Xplornet’s internet services are delivered through a shared-bandwidth system. Whether it is delivered through a satellite or through a Fixed Wireless tower, it is referred to as an Access Point (AP). Each of our AP’s provide the internet connection to each specific region. All subscribers’ receivers and modems within this specific region communicate with the AP and pass all information requests through this point. Each AP has a limit of how much information it can process at once. There are numerous factors that affect internet speed. Factors can include, but are not limited to, the subscriber’s router, the number of connected subscriber devices, the status of the subscriber’s devices (i.e. firewall, procedures for optimization, antivirus analysis, backup, etc. ), the subscriber’s location, weather, and other factors beyond Xplornet’s control. When multiple users who are subscribed to our service attempt to use high bandwidth services on multiple devices at the same time, it creates a period of data delivery we call Peak Time Hours. To ensure that all users have fair access to this service during the Peak Time Hours, Xplornet utilizes Traffic Management Policies to protect time-sensitive data. These policies are in place to ensure that everybody gets equal access to the service, and so that a small handful of users do not cause the service to be poor or slow for everybody else. To ensure this equity of usage is maintained among Xplornet subscribers, subscribers may experience some temporary throughput limitation. Given the design of our network, we cannot guarantee a specific speed to subscribers as we offer service on a best effort basis. Slow Internet speeds can be caused by many factors – some challenges can be addressed by restarting a device, while others may require our support team. We recommend you review this list of suggestions to troubleshoot speed issues you may be encountering. Please note that many of these steps may only apply to Windows-based computers, and the steps listed may differ depending on the individual operating system (ex. Windows or Apple) that you’re using. Reset your modem and router. Sometimes restarting your network or your router can increase the speed of your connection. To do this, turn off your computers and other devices and unplug the power to your router for 30 seconds. Plug the power to your router back in and turn on your computers. If you are using a wireless router, ensure it is not conflicting with a cordless phone, baby monitor or other wireless device. Some wireless routers will slow down if you are using another piece of electronic equipment on the same frequency, (e.g. 900 MHz, 2.4 GHz, 5 GHz). Normally you would see this where a wireless device is indicating a poor signal strength or slow speed, while a computer that is connected to your router with an Ethernet cable will have better speeds. Often, the owner’s manual for your various wireless devices will say which frequency they broadcast at, or an Internet search of the model name and number will give this information.Try unplugging these other devices and see if your wireless signal improves. If you are using one of our Fixed Wireless platforms, these may cause outdoor signal issues also. 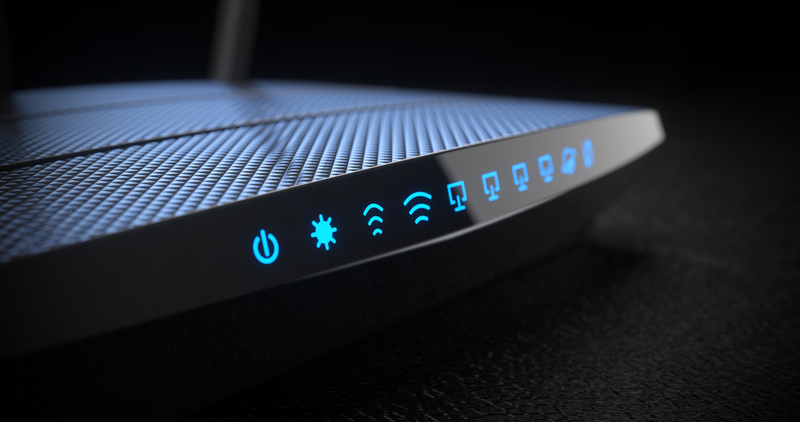 Routers can lose some speed as they direct traffic between devices. Bypassing a router ensures that you are testing your speeds with only one device and that another device is not using your bandwidth without your knowledge.To do this, unplug the Ethernet cable that in plugged into the back of your router at the WAN or Internet port, and plug the cable into one computer directly, normally at the same port that your router cable plugs into. Power off your router so that a wireless computer will only see the new cabled connection. We will often ask that you bypass your router so that we may run connectivity tests to your modem or radio to check for cabling issues. Does your computer need some basic maintenance? Sometimes what seems like slow Internet service is really a slow computer problem. Run your disk defragmentation utility, and a virus/malware scan, and empty your recycle bin.An unusually slow Internet connection is often the only sign that your computer is infected with viruses or other issues. Never allow the free space on your C: drive to be less than 10% of the total size. Ensure that old programs that you’re no longer using are uninstalled, particularly an old anti-virus or firewall program. A local computer repair store should be able to help you with this kind of maintenance if you require assistance. Optimize your cache or temporary Internet files. Internet Explorer: this can be found under Tools (you may have to press ALT) -> Internet Options -> Browsing history -> Delete. Firefox: click on Tools (at the top) -> clear private Data. Ensure that any Peer-to-Peer or Virtual Networking Software is turned off. Sometimes simply closing the program window will still leave it running in the background. For Windows-based computers, in the system tray (lower right corner, near the time) you will have small icons for programs running in the background. Hover over each of these and make sure it is something that you want running, such as your anti-virus program or volume control. If you see your VPN or peer-to-peer program listed you can click on it here to close it. Go into the options menu for these programs and make sure that “turn on when Windows starts” is not checked. Check for programs using your connection. For Windows-based computers, to test if other programs are accessing the Internet without your knowing, click Start -> all programs -> accessories -> Command prompt. (For Windows Vista or Windows 7 please right click on Command Prompt and then left click on Run as Administrator.) Type netstat -a. This will list every port that an individual computer has opened currently. Scroll through and take a rough count of how many lines there are. More than 100 may indicate a problem. Using the netstat -b command line instead will give details about what website/program is using a specific port. A port is like a doorway to the Internet and the more that are open by your computer, the more bandwidth is being used. Too many ports open can ultimately cause you to lose the Internet as when you request a webpage, there is no doorway available to use. Ports eventually time out and close, so this may be a factor if your speed is intermittently slow. Please be aware of our Traffic Management Policies as it relates to your service. Xplornet has implemented Traffic Management Policies to try to ensure that each Xplornet customer receives fair and consistent access to the Internet. For some of our platforms, the Traffic Management Policy includes reductions in speeds if you exceed a certain bandwidth allowance. Check your data Usage. Are you subscribed to our “LIMITED STATE” service? Xplornet has a product feature that ensures ensure our customers do not receive surprise overage charges on their bills. Once the customer reaches their monthly data quota, their download and upload speeds are significantly reduced (but is not shut off altogether). You will not be billed for any usage at this point. To check your data usage, visit myxplornet.com. If you have reached your quota, then you will be in limited state status if on this plan type. To remove the Limited State status, you may upgrade data plans if available and/or change to a usage based billing type plan by visiting MyXplornet.com or calling into Customer Service. Changing to a Usage based billing plan will ensure your speeds remain as high as possible, but you will be charged for additional data usage (measured per byte) at the rate of $2/GB. Try browsing the Internet or the application at different times of the day. As Xplornet is a shared bandwidth service, time of day and what all of our customers are doing at a given time can have an effect on your performance. Knowing if there is a specific time frame where you experience the problem will help us to diagnosis the problem.